“Did you see that shooting star tonight? Were you dazzled by the same constellation? Did you and Jupiter conspire to get me? I think you and the Moon and Neptune got it right, ’cause now I’m shining bright, so bright. And I see colors in a different way. You make what doesn’t matter fade to grey. Life is good, and that’s the way it should be. 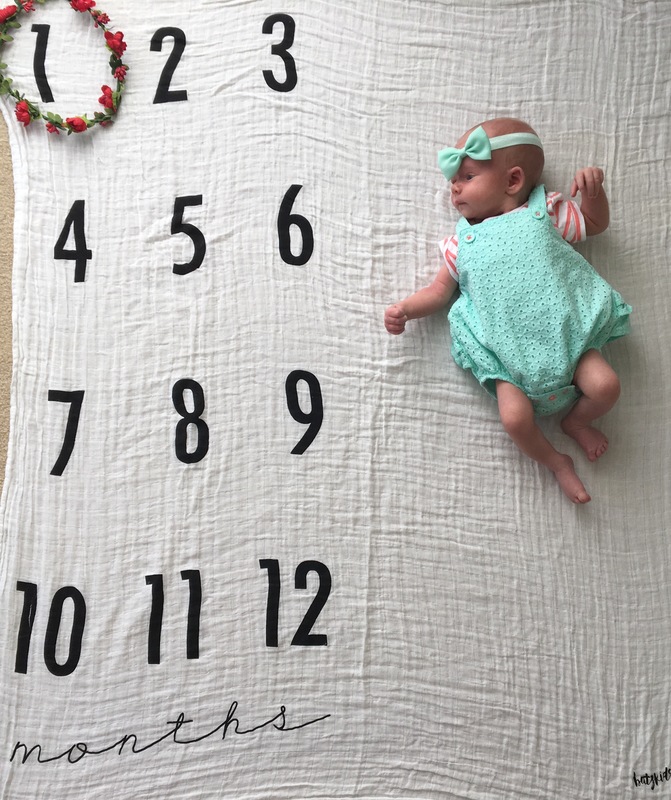 It’s been one whole month (and two days, haha) since our sweet, sweet Annabelle Grace was born! Things are so incredibly different, still kind of the same, and just plain wonderful with her here now. That doesn’t mean things are just a piece of cake, but it also doesn’t mean that things are horrible. They are new, and they are our new normal; for now! More about life with our baby in a moment though- below is a slideshow of pictures from her first month with us! The song playing in the background is the same one I used the lyrics from above- it’s so fitting for this wonderful little life that is part of our family now! Our new normal means a little less sleep, a lot more love, and lots of diaper changes! Will now drinks a Diet Mountain Dew every day on the way to work and I’ve learned to sleep pretty much sitting up! Diaper blowouts, washing bottles, trying to learn to use bottles- she likes bottles from Dad, but most definitely NOT from Mom! Learning to use a pump. Trying to decide if the pump really works right or not. Setting alarms ALL.DAY.LONG. (and all night long) Learning to make decisions on what we feel is right for our kid, not what everyone else thinks is right, but asking for opinions because hey, how else can we learn? Hoping we’re making the right decisions. Making sure we both get showers daily. Learning how to clean in between nap times. Learning that close-to-spotless is good enough. Doing LOTS and LOTS and LOTS of laundry! Learning how to find clothes that work when you may have to nurse somewhere, in public included. Learning how to do things with one hand- it requires some creativity-but kinda cool to see how well you can do things with one hand! Having that first “snap at each other in the middle of the night disagreement” because that’s what sleep-loss does to you- and then quickly realizing what happened and saying sorry and hugging each other. Baby cries ALL DAY LONG, because hey, babies have bad days too! Baby cries at night- learning is it a hungry cry, a gassy cry, a sleepy cry, or a dirty cry. Learning to give her baths. Learning to be intentional about making time for ourselves- like making sure we share a few hugs and kisses, and that we talk about things other than Annabelle Grace. IN THE MIDDLE OF ALL OF THE ABOVE…..
Is the new normal that is beyond what we could have imagined. Watching our sweet baby change EVERY SINGLE DAY. She is constantly changing! She is constantly growing, mostly length wise! She is making a million different facial expressions, including smiles! Smiles that we think are getting closer to being the real deal. She is showing us what selfless love is, because when someone is so dependent on you, every feeling they show is shared with you. She’s teaching us that stopping to take a moment to hug and cuddle is WAY better than a spotless house. That the millions of bottle pieces and pump pieces, or just pumping period doesn’t seem so bad when Daddy gets to bond over a bottle and Mom can literally keep another human alive with her body. Those two and three diaper changes in a row, even late at night are kinda worth it because that’s just one more chance to hold and hug our baby before she is too big. The little fingers of hers that wrap around just one of our fingers is such a small gesture that suddenly leads to such big emotions. The fact that such a tiny person with out real words can make us have that first “snap at each other moment” is kind of wonderful- it makes us realize how thankful we are to have each other- to be able to hug literally ten seconds later. That the world is so quiet at 12:00am, 2:00am, 4:00am….but that it’s time together with a baby that we waited for for oh so, so long. Having this month with Annabelle Grace means (me in particular) can get so caught up in staring at her and just feeling nothing but happy feelings, thankful feelings, unreal feelings. Feelings that for so long we didn’t think we would get the change to experience. Feelings that I didn’t know could even be experienced because it was only such heartache from our losses. These days don’t seem real most of the time, but I mean that in the best way possible. It’s only been one month and this one month has already gone by way too fast. This month has let me see my dear husband become a completely new type of person. A Dad. A great Dad. A person that both Annabelle Grace and I can always count on. This month, after having a c-section, has taught me that recovery is a pain. It’s a pain at the beginning trying to learn how to carry your baby and lift your baby and even how to get in and out of bed to get to your baby because you hurt. It’s a pain still having restrictions on what I can’t do and what I can’t lift. But then I look at our baby and am reminded that I wouldn’t change it for anything because I’m so happy to have her. I’m finally getting the dry hair, broken nails, bumps on my face, stretch marks that look like a sunburst around my belly button, a belly button that still doesn’t look normal, and a little pudge along my incision line because I was cut open to have our baby. A pudge that may or may not change for a while because my belly and abs and uterus were split open. But all of these things show that I finally did it! I finally carried a baby to term! A beautiful baby. A healthy baby. My baby. Our baby. Our RAINBOW BABY. This month has been better than I could have imagined. Time to see what’s in store for Month TWO! Happy Happy ONE MONTH Annabelle Grace! Previous postOur Baby- You’re Here!! Everyday will bring a new change. Enjoy the ride! Nana loves, loves, loves the video! Give her a hug and kiss from me!